Ragusa is made up of two separate centers: the old part, called Ragusa Ibla is the low part while the more modern part is higher up. 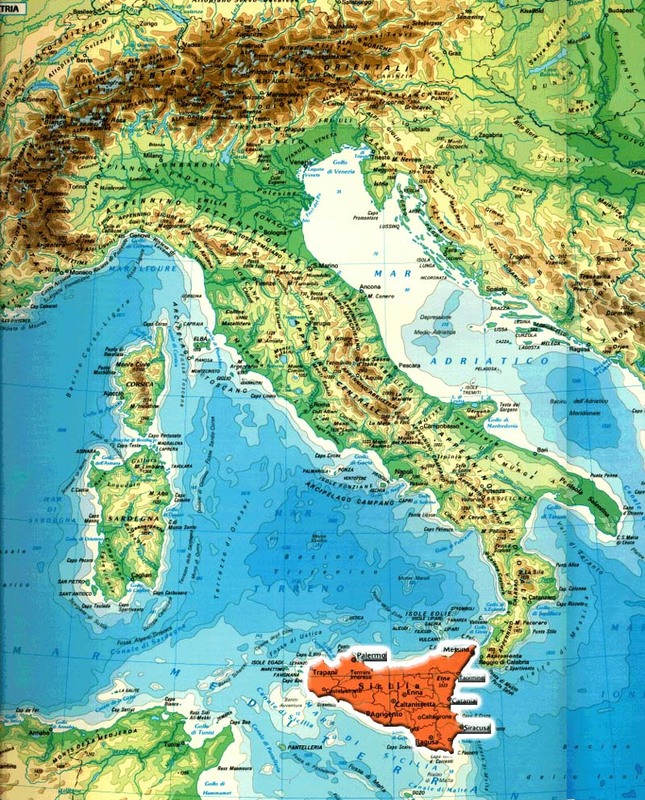 The two towns are separated by the Valle dei Ponti, a deep, disturbing gauge that is crossed by four bridges that connect Ragusa Ibla to the town higher up. Our itinerary includes at least one night in one of the hotels in Ragusa, so that you have the whole day to visit this wonderful Baroque city. Our itinerary starts off in the high part of Ragusa, from Piazza Libertà, at the beginning of Via Roma, one of the citys main roads. From Via Roma you must go to The Ibleo Archeological Museum, where you can admire the findings of ancient settlements in the area. After visiting the Museum, continue up Via Roma up to the crossroads with Corso Italia where there is the splendid Cathedral of San Giovanni Battista. Continuing up Corso Italia on foot, you can admire some Baroque buildings such as Palazzo Bertini. Carry on until you reach the Church of Santa Maria delle Scale that looks down onto Ragusa Ibla, and which connects the two towns with a staircase of 242 steps. After you have walked down all the steps, you might be hungry so take a break for lunch in one of the restaurants in Ragusa in this area. We recommend you try at least one dish based on caciocavallo ragusano and you mustnt miss a typical dessert such as biancomangiare. After eating your fill, you can start discovering Ragusa Ibla, the oldest part of the city where most of the churches and Baroque buildings are found. There are many churches to visit: you mustn't miss Santa Maria dell'Idria, the splendid and imposing Basilica di San Giorgio and the Church of San Giuseppe. Before dinner, why not go for a relaxing, refreshing walk in the splendid Ibleo Gardens of the Villa Comunale where there are some beautiful Baroque churches. After learning more about the Ragusa cooking tradition, we recommend you go for a walk in the center. For the social-life lovers, we suggest you continue the evening in one of the clubs on the promenade at Marina di Ragusa. If you have an extra day to hand, we advise you go on a trip to the Castello di Donnafugata, a castle 20 km from Ragusa. This majestic castle dates back to the 17th century, with Renaissance and Gothic-Venetian style galleries, 122 rooms, a huge panoramic terrace and 8 hectares of parkland.